While in bustling Taipei, treat yourself to a full-day private custom tour of the city’s best sites! 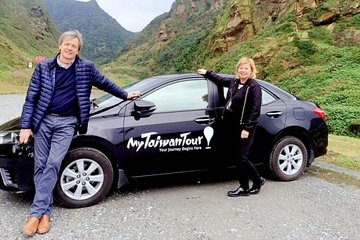 Your personal driver will help you design the perfect 8-hour itinerary, escorting you to key attractions such as Longshan Temple, Taipei 101 and Beitou Hot Springs. Travel at your own pace, and stop to snap photos, grab a souvenir or explore. 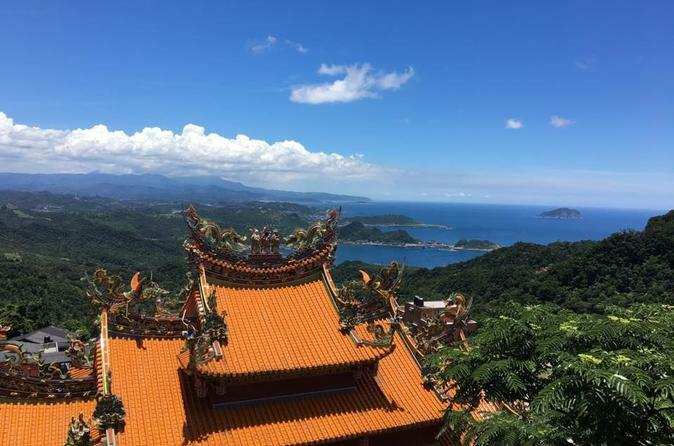 Taipei City and the northeast coast is at your fingertips on this private tour! Great way to spend a day to see the major sites in Taipei. Gordon was fantastic. Very knowledgeable and personable. Suggested great things to see and do and was flexible with our itinerary. Bill was an excellent and knowledgeable tour guide. Took the time to orient us to the sights we preferred to see. Helped us navigate stores to locate hard to find request. Went out of his way to make our visit a success. Highly recommend!! Ok way to get the basic understanding of Taipei. COuld have spent more time explaining some of the history. An excellent tour with a very knowledgeable guide who shows you the high points of the city. You determine which sites you wish to visit and the guide provides suggestions which are very useful. Yang was an excellent guide with excellent English. Prompt, outgoing and very knowledgeable about Taipei and Taiwanese history. The spot he suggested for lunch was spot-on for what I wanted. A fine day. An awesome tour!!! You get to see all of the city highlights in Taipei in a day. You move fast but you get to see everything you could imagine. My tour guide even took me to one of the overlooks outside the city where you get to see spectacular views of the mountains dropping off into the water. Great day! I would highly recommend this tour. Our tour guide, Tai was fantastic. He catered and customize the tour to our specific interests which was picture perfect locations as we're photography buffs. He was also very knowledgeable about the city, he could explain to us about many aspects such as the fascinating history and exotic culture of this country. He even helped us fare through the rainy weather. He introduced to us many delicious local foods. He went above and beyond by obtaining for us a tour inside of the Presidential Building which was only open once a month so I discovered. It was an amazing holiday for us, from the fantasy town of Jiufen to the majestic National Palace Museum. Our expectations of this trip was exceeded as high as the Taipei 101. Our guide/driver, Vincent, was a wonderful host and a wealth of knowledge on his city. We felt welcome and cared for the entire day and were able to customize our itinerary on the fly to adapt to weather conditions. This tour is a fantastic value. This was a great experience. We were 7 travelers in our family with our 82-year old mother. The tour guide Kelly had a very upbeat personality, even calling our mother lola which is the Filipino word for grandmother. The tour van was very comfortable and just right for all of us. We told Kelly where we wanted to go and she organized our tour very well for us, starting with the farthest point Yangmingshan to see the geysers and then to Beitou thermal valley. We had beef noodle soup in Beitou. Kelly very graciously looked for some forks for my brother, his wife, and my mother who didn't know how to use chopsticks. We also covered a lot of the sights in our tour of Taipei city - Taipei 101, Chiang Kai Shek and Sun Yat Sen memorial halls, Office of the President. Our last stop was the Taipei handicraft promotion center. We had a really memorable tour, thanks to Kelly and the very gracious driver. This was my first Viator tour and I couldn't be happier. The name of the local company is My Taiwan Tour and our guide's name was Young or it sounded like it. He was at our hotel 5 minutes earlier and spoke perfect English. He was friendly, knowledgeable and extremely pleasant and respectful. We did everything at our pace, adjusting the program as we went along depending on what we felt like. Really had a lovely time and the whole day felt like a great value for money! Thank you, My Taiwan Tour and Young!